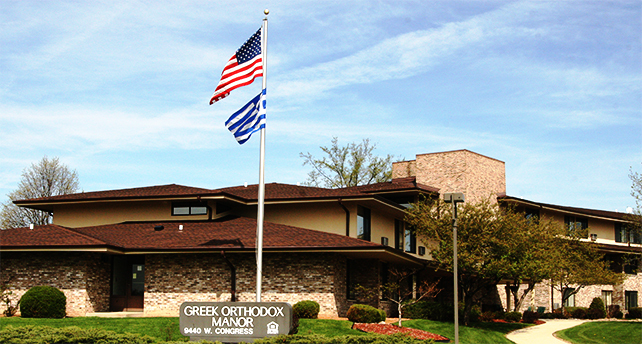 In 1984, the Annunciation Greek Orthodox Church secured federal funding to build a facility for Senior Citizens on the Church grounds, The Greek Orthodox Manor. This funding also included rent subsidy for qualified applicants. Originally, the Manor had 40 units (30 one bedroom and 10 studio apartments) In 2007, all of the studios were converted to one-bedroom apartments, so that today, there are 34 fully renovated one bedroom apartments. In addition, The Manor has a two-bedroom apartment where the on-site manager resides. The Manor is operated by a non-profit Board of Directors that is affiliated with the church. The facility is non-denominational and is professionally managed by Rosenthal Associates.